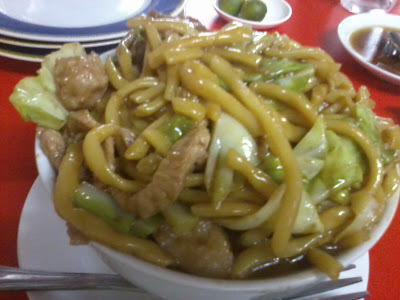 This is one of Manosa's specialty- Pansit Guisado. I've been meaning to eat at Manosa for the longest time but haven't found the time to visit until today. Located near Valencia Towers in Quezon City, this resto is the typical Chinese-resto you would find in Ongpin. Canteen-type, if you asked me. Not that presentable-looking. But even if they lack aesthetics, the food is just to die for!